Afsana, is a 19 year old girl from the Gopalganj Mohalla, Mauranipur district, Jhansi, Uttar Pradesh. Like all other girls of her age, Afsana nurtures many dreams and aspirations in her eyes for a bright and successful future for herself and her family. In her family therer are 9 members including her. Only two of her family members work to feed all of them. Her father is a Shopkeeper. Needless to say, the earning from this is insufficient to meet their family needs. Afsana has a deep sense of responsibility within her which is unique for a girl of her age. During her counseling session, when she visited Don Bosco Tech, Mauranipur centre, after getting information from her friend, Afsana showed extreme concern about her career and her responsibilities. She wanted a job to support her family in the best possible way. She was really surprised to learn about the work that Don Bosco Tech provides to youth like her. She was absolutely determined that she had to avail this opportunity for training and placement support from Don Bosco Tech. Through support and guidance from the trainer, Afsana chose the Nursing Assisatant domain for training. Staff from Don Bosco Tech, Mauranipur realized that her confidence and determination were best suited for this sector. In classroom she was hard working, diligent and became a monitor of her domain. She has the leadership quality in her with confidence building in her. She adds, “Nothing is impossible if you want to do it”. Considering the fact that Afsana belongs to an area with very high levels of illiteracy and insurgency, she was absolutely determined to work hard and find employment. Afsana has now successfully completed her training. She was one of the most confident and determined learners amongst her batch. She was and is extremely focused, dedicated and sincere towards her work and displayed a very positive attitude to learn right from the start. Even during the placement interviews, Afsana was the first girl ready to appear for outstation interviews. 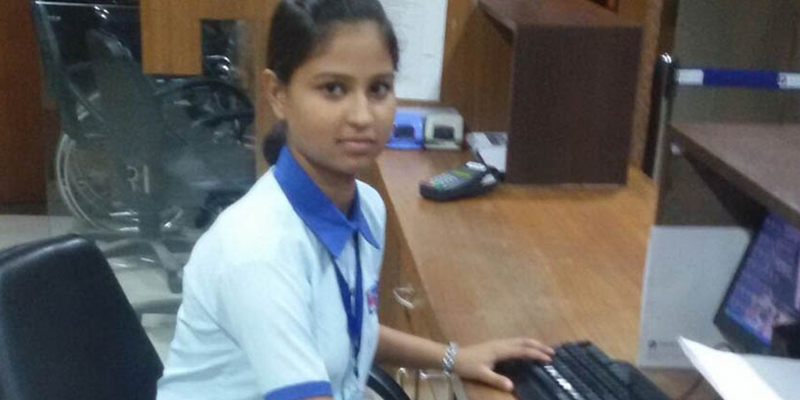 Today Afsana is working as a “Receptionist” at Rock land Hospital, one of the very Popular Hospital in Gurgaon, earning Rs. 9000/- (supported with extra 1800 allowance) and working with absolute zeal and enthusiasm. After knowing this her parents are very happy and feel the proud of their daughter. Needless to say, Afsana is a role model for all girls. She has defied all evident odds to actualize her dreams. Even though from a poor conservative family, Afsana has demonstrated the confidence to relocate to Gurgaon, a totally new place, for her job.